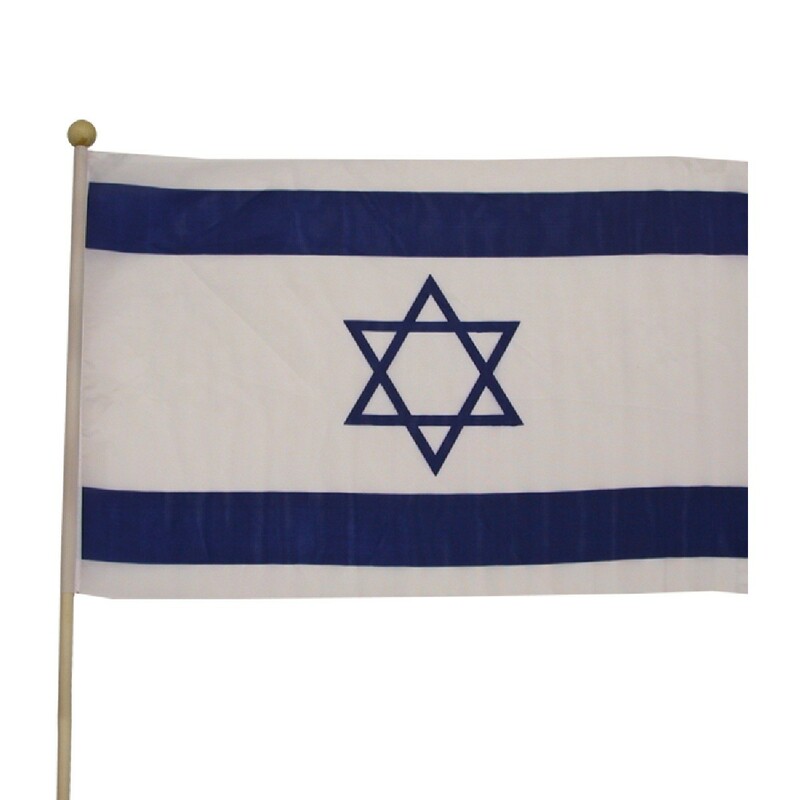 Quick Info: Israeli Flag, 12'' x 18''. Cloth Israeli Flag glued onto a thick wooden doll rod (23'' long). Priced per flag. Israeli Flag, 12'' x 18''. Cloth Israeli Flag glued onto a thick wooden doll rod (23'' long). A large wooden ball is attached to the top.